The Newcastle Eagles solidified their grip on the top spot in the BBL standings and inched closer to clinching the regular-season title with pair of victories during the weekend. After absorbing their second defeat of the season last week, the Eagles bounced back big time as they hammered out a 99-82 win over the Leicester Riders on Friday night. Paul Gause had an outstanding night, finishing with game-high 28 points, while Charles Smith added 21 points and five rebounds. Andrew Thomson also had a share of the spotlight, scoring 16 points to go with 12 rebounds and six assists, while Joe Chapman chipped in 11 points and dished out seven assists for the Eagles, who were in full control of the game right from the opening buzzer. 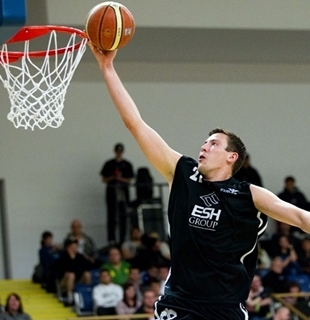 Gaining momentum from their huge victory on Friday night, the Eagles scored another convincing win, pounding Durham Wildcats, 99-82, on Saturday night. Joe Chapman led the Eagles’ offensive attack this time with his 24 points and six assists, while Gause added 22 points. Charles Smith added 17 points and eight rebounds for the Eagles, who improved their record to 20-2, two and a half games ahead of the second-running Worcester Wolves (18-5).